Funeral services for Arven Graff, of Morris, Minnesota, will be on Friday, November 30, 2018 at 11:00 a.m. at Kongsvinger Lutheran Church in Donnelly, with Reverend Michael Nelson officiating. Visitation will be on Thursday, November 29th from 4:00 - 7:00 p.m. at the Pedersen Funeral Home in Morris and will continue one hour prior to services at the church on Friday. Burial will be in the church cemetery. Arven Odin Graff, son of Henry and Edna (Gulbrandson) Graff, was born on November 2, 1931 on a farm in Donnelly Township in Stevens County, where he grew up and attended Country School in his elementary years and then High School in Alberta, Minnesota. He graduated from Alberta High School in 1949. Following his schooling, he enlisted in the United States Army, serving during the Korean War. As part of Arven’s service, he was a mountain climbing instructor and ski instructor in Colorado and Japan. He was united in marriage to Joanne Hill on February 20, 1954 at the First Lutheran Church in Morris, Minnesota. Following their marriage, the couple made their home in rural Donnelly, where Arven took over the operation of his family’s dairy farm, due to his father’s sudden death. In the mid 90’s, Arven retired from farming and began working part-time at the Donnelly Co-op. In January of 2016, Arven and Joanne moved to a town home in Morris. Joanne died March 19, 2016. Arven has continued to live in Morris until the time of his death. 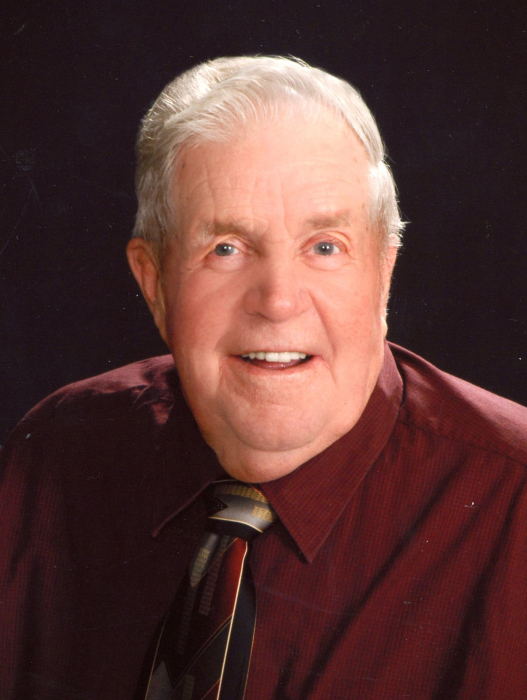 Arven was a lifetime member of Kongsvinger Lutheran Church, Morris American Legion, the V.F.W., Sons of Norway, Norwegian Dancers and the Donnelly and Morris Senior Card Clubs. He enjoyed hunting (especially the yearly deer hunt), fishing, pitching horseshoes, bowling, playing softball, camping, old time dancing, playing cards and bird watching. Most of all Arven enjoyed attending his grandchildren and great-grandchildren’s activities. Arven was their best (and sometimes their most vocal) fan. Arven grew up and lived 84 years being able to view, fish, swim etc. on Cottonwood Lake. He loved his “farm on the lake” and truly loved nature. Arven died on Saturday, November 24, 2018 at the Stevens Community Medical Center in Morris. He was 87 years old. He is survived by two children: Kathy (Wayne) Werk of Alexandria and Keith (Brenda) Graff of Morris; five grandchildren; ten great-grandchildren; three brothers: Harvey (Vivian) Graff of Litchfield, LeRoy (Gladys) Graff of Big Sandy, MT and Dale Graff of Alexandria; brothers-in-law; sisters-in-law, several nieces, nephews and cousins and so many that call him their friend. He was preceded in death by his wife Joanne; his parents; step-father: Edward Olson and sister-in-law: Evelyn Graff.